Experience the science of getting leads, converting leads to deals, deals to bigger deals. Give it a painkiller that has vitamins too ! Its difficult to create & send extremely targeted campaigns so the right lead gets the right pitch at the right time. People forget fast. Reminding them what they were looking for increases their chances of purchase. Increase conversions through leads by Using Customer segmentation & Highly targeted automated drip campaigns ensure that the right lead gets the right pitch at the right time. The report card of your efforts is analytics. Which marketing channel is worth investing ? Know the science of successful sales? Theoretically, its simply being prompt, offering the right thing at right time & blah blah, but when it comes to practice, its a workflow with a set of complicated steps that are derived from user's actions or no actions. With kit19, you just create workflows once & the steps are followed automatically. Isn't storing leads a real pain when you have to do it manually? You get leads from several channels but retaining them & nurturing them till they mature requires efforts. 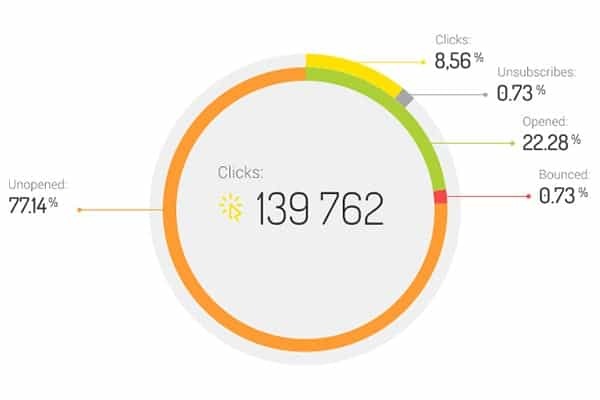 Kit19 automates the whole cycle of capturing leads from various channels, responding them and even keeping them engaged. Your Phone and mail are the center of your business activity. 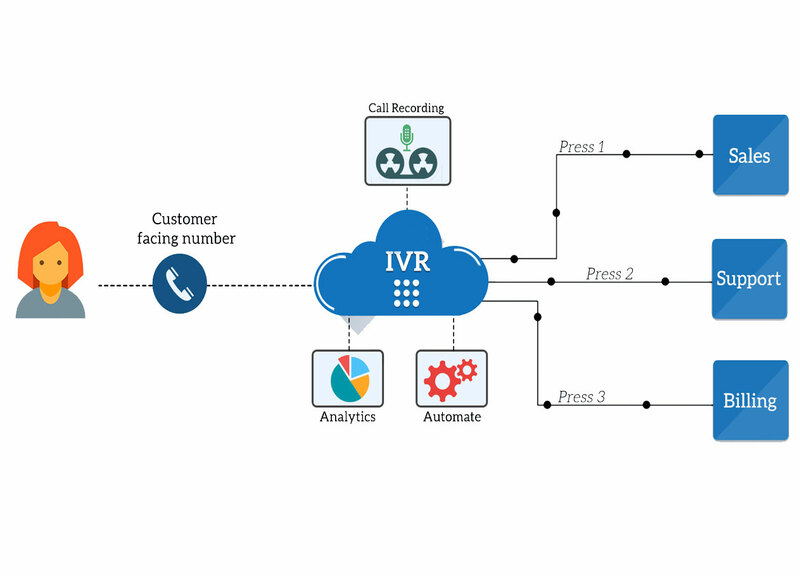 With Sales 10x, you can automate the flow of each call or mail that you receive. You may not even have imagined what could be done with a simple mail or call that lands your business. Now, you can take control and ensure that each communication doesn’t end up buried, unheard or unharnessed to its full potential. Did you think it takes a hefty infrastructure of servers, digital phone no.s, IP phone instruments, an expensive solution and even more expensive technicians to do this? 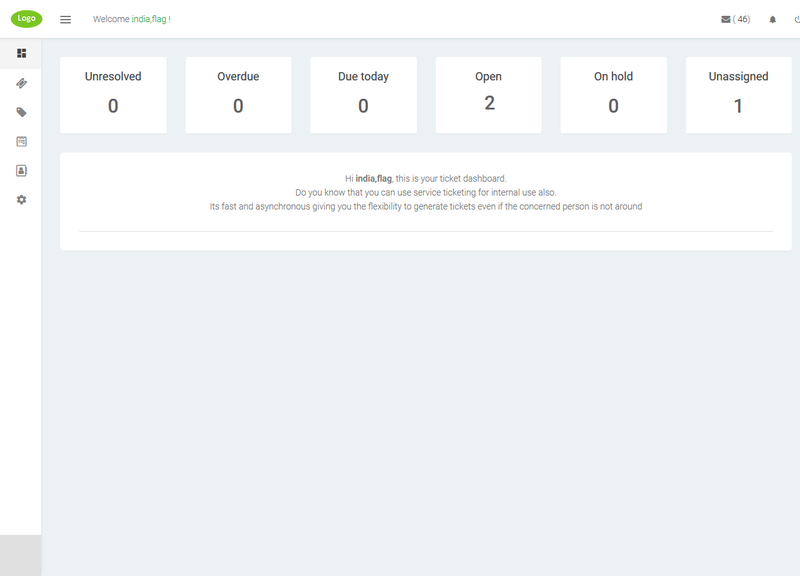 Meet Sales 10x, it doesn’t go heavy on your pocket or mind Feel the power to convert each new call to a lead or each customer call to a support ticket automatically. And it doesn’t end there, you can actually create a full flow with each call or mail and even trigger perpetual drip campaigns that take your new opportunities or customers to the next level. 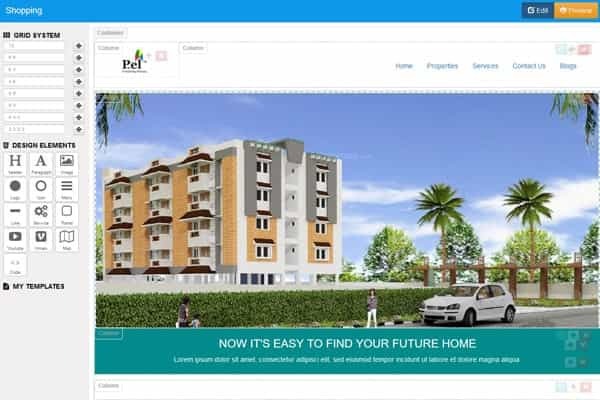 Your customers are sure to be delighted to get a tailor made personalized experience every time they touch you but for you, its just a few clicks ! One place to keep all your enquiries,. leads and conversions, thats a CRM. 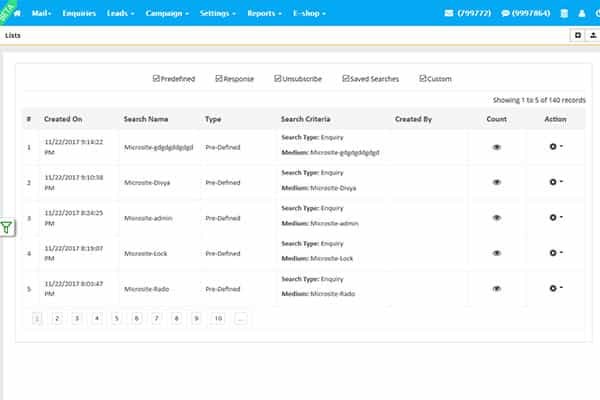 You can follow each activity performed on your leads till they close and therafter. 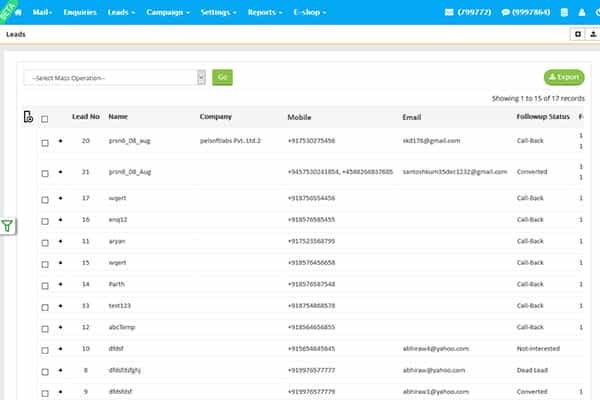 Identify potential leads and customers in just one look. Not everyone is alike, and that applies to your leads & customers too. While some leads take less time to close , some may not. You may want to offer a special discount to some special customers or you may want to churned customers to retry your offerings at a special price. This is where segementation comes into play. Once you segment customers as per their actions & history, you can set different engagement steps to be followed for different segments. Want to be able to cut out beautiful attractive offers without tech know how? Kit19 answers your need for coming up with beautiful & easy to create drag & drop mailers & landing pages mailers that not just promote with audio, video & images but also send SMS/Mail or run custom webhooks once the visitors of your landing page express interest. We bet you wouldn't have seen an eshop so easy & beautiful to create. With kit19, it actually takes 2 minutes to have your beautiful eshop up & running with preintegrated payment gateway. 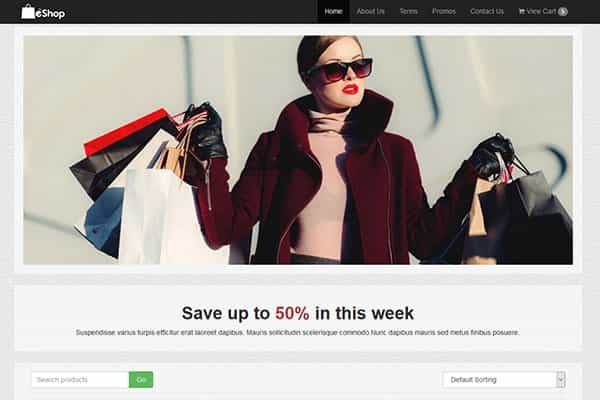 But whats an online shop without discount coupons, freebees and other offers. Your kit19 eshop gives you the option to create user specific, product specific, bill specific and time specific coupons. Want to try a flash sale? Now you can do it in just 5 minutes with kit19. Are you still working with flat files, set datetime & static content to promote you products? In the new era, Dynamic real time promotion is whats needed to keep you a cut above the rest. 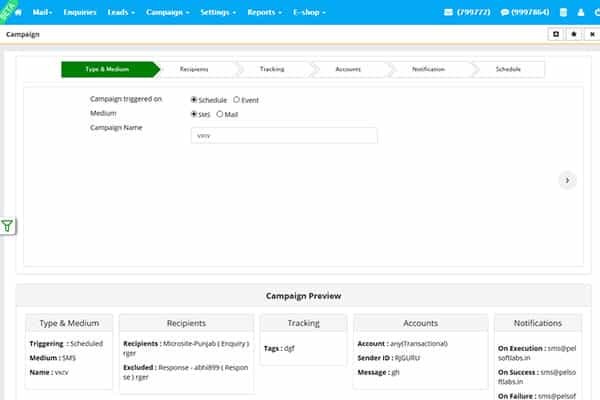 At kit19, you can set indefinite campaigns that work on real time recipient segments instead of flat files, are triggered on events or schedules and sends dynamic user specific content through SMS or mails. The story doesn't end there. You can even define further sequential or drip campaigns to take the respondents of your campaigns to the next level. A webform is one of the biggest assets for any relevant business website which can be used to get input from prospective clients and can enhance your relationship cordially. 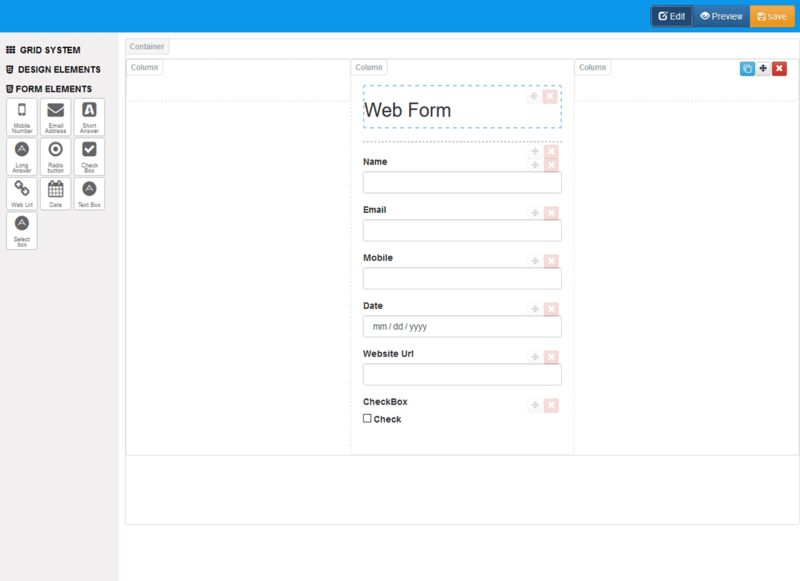 Web forms can allow you to collect relevant data for your business directly from your website visitors without the need of exposing your e-mail address to the world. Web forms are of great help for leadgeneration when you have inbound sales and therefore it is sometimes also known as web to lead forms. Its already established and doesn't need any further elaboration that your customers are your best bet. A good customer service not only impacts your brand image positively but it turns out that its also the most cost effective & reliable marketing when your customers start advocating your brand. Customer delight starts with prompt service and thats what support ticket management does for you. Say No to flat files that just lie the way they were created. 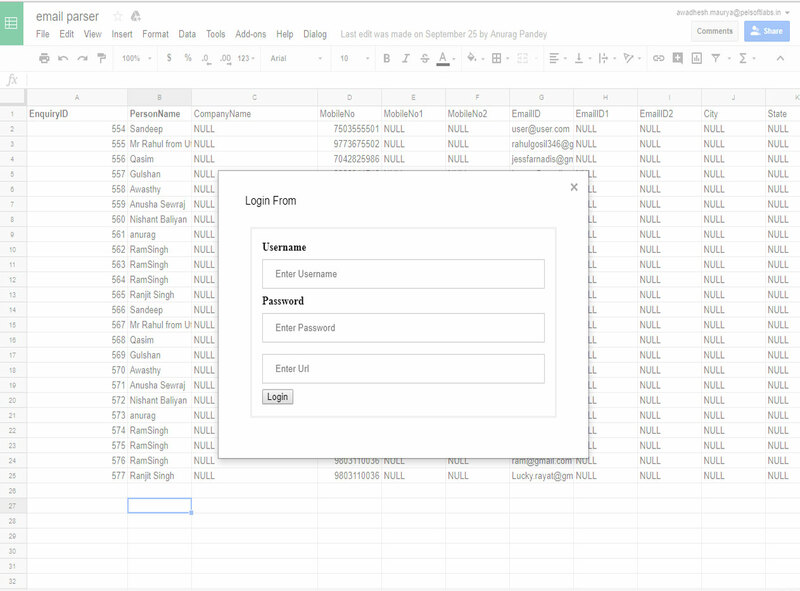 Sales10x supports Google spreadsheets integration. 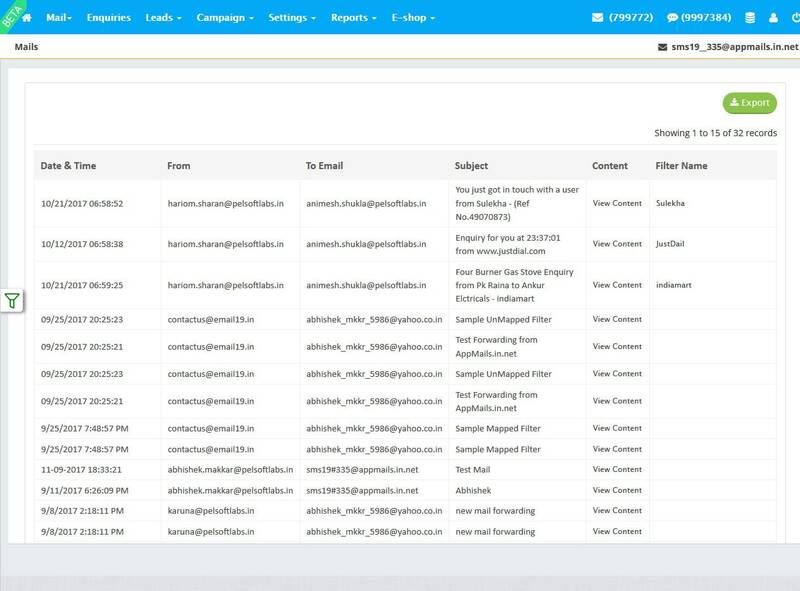 If you have a live recipient list or message content in your spreadsheets that you constantly update, this integration will help you send messages on the fly using real time lists and message content that get composed right at the time of the campaign. What’s best is that you can even use Sales10x’s powerful mail parsing to get meaningful content from your mail in google spreadsheets, all real time. Get the power of Google ads right from Sales10x. Save yourself from the trouble of setting up Google Adwords account and start advertising with Google in just 2 minutes . Why pay anyone to set up or manage your account when you can do it yourself and even get leads in sales10x automatically using landing pages and web forms. This cannot get any easier! In just 3 simple steps, you can have your ads published in millions of sites through Google adwords. 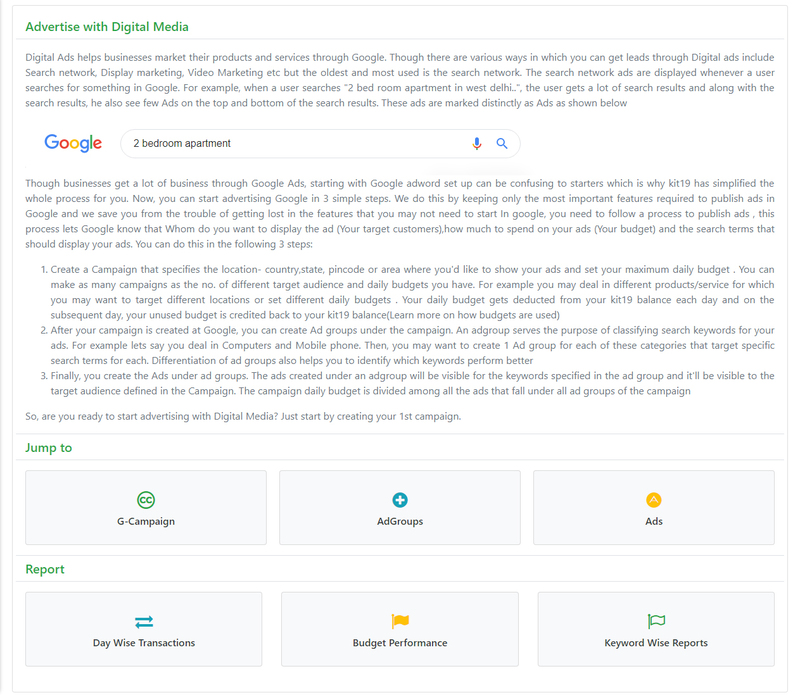 Be it a local business, where you need to target advertisements only within 3km of your radius or a business targeting just parents or an age group or people of any particular interest, we’ve got you covered. Combine all this with the flexibility of deciding how much to spend on the advertisements on a single day. Once you advertise and use landing pages to capture leads, your automated campaigns work on them just as they do for other leads. This is the outcome of all your efforts, how your campaigns faired, which coupons worked, which landing page created most interests. The analytics gives you an insight into all this & more.